Pitched at £100-150, a small North American Native woven pouch attracted interest from London, Continental and US specialists at Tennants’ (23% buyer’s premium) Militaria & Ethnographica offering at Leyburn. 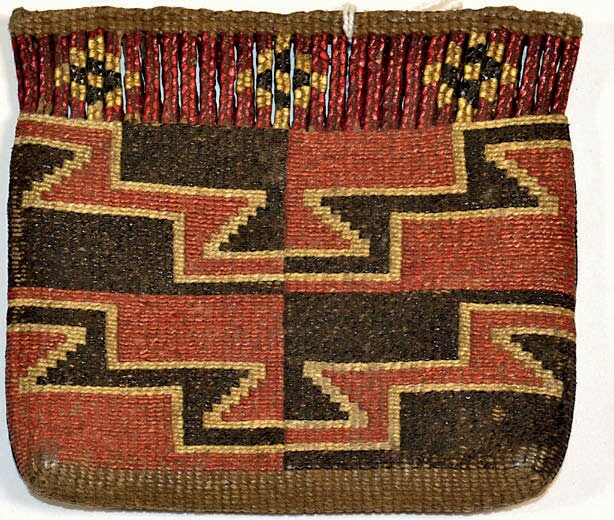 North American Native woven pouch possibly from the Great Lakes people, the Wyandot, which sold for £4800 at Tennants. The 4in (10.5cm) wide pouch was given a possible attribution to the Great Lakes people, the Wyandot (better known as the Huron from The Last Of The Mohicans, in which they got a bad press). It was consigned to the June 13 sale by a descendant of the traveller who brought it back from the US in the 19th century. It will return to America after selling on the phone at £4800.